In Religious Education this week the children were sharing their understanding of Baptism in particular in relation to their own family. We looked at a Baptism video and thought about what we would like to find out about Baptism. In the classroom we changed our prayer cloth to the liturgical red colour for November. Throughout the month of November we will be praying for and remembering the deceased members of our families. In English this week we enjoyed reading Zog by Julia Donaldson. 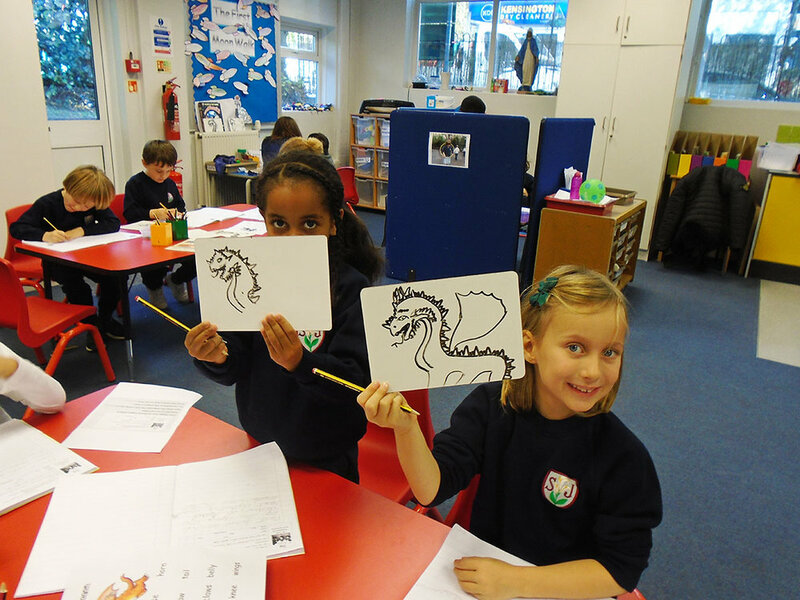 The children wrote precise instructions for Zog the dragon who was having trouble learning to fly. Next week we will be exploring the features of non-fiction text and learning all about Guy Fawkes. In Mathematics, next week we will continue with multiplication and linking it to repeated addition (e.g. multiples of 5 and 10).